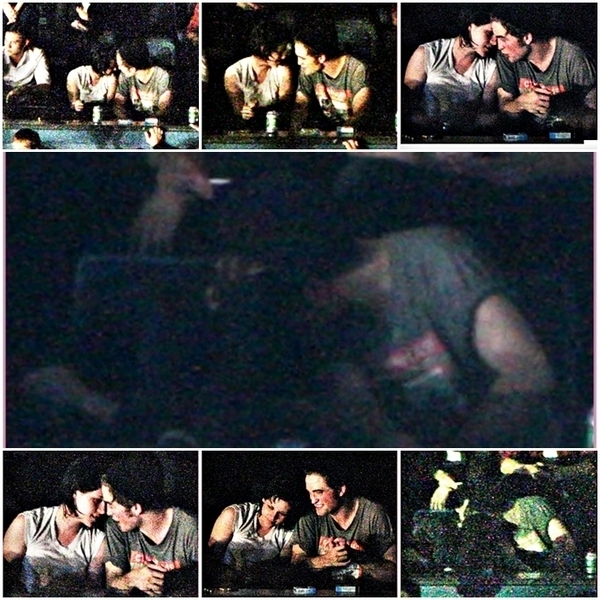 Robert Pattinson and Kristen Stewart at a concierto maybe almost besar. . Wallpaper and background images in the Robert Pattinson & Kristen Stewart club tagged: kristen robert kissing. This Robert Pattinson & Kristen Stewart photo might contain animado, cómic, manga, historieta, anime, and dibujos animados.